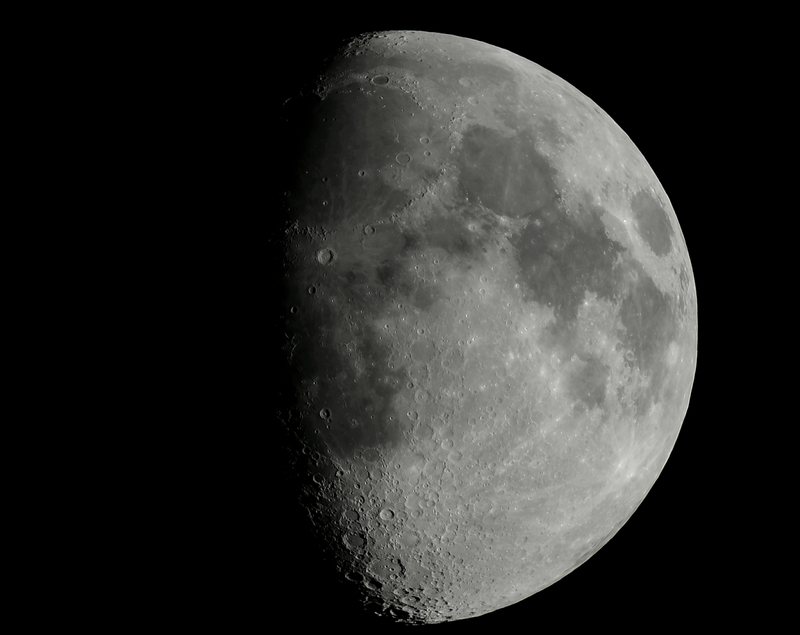 Swansea Astronomical Society Blog: 72% waxing, gibbous Moon with a low cost CMOS camera. 72% waxing, gibbous Moon with a low cost CMOS camera. A 5Mp very low cost CMOS camera called a Lucky Zoom microscope camera was placed at the prime focus of an ED, 80mm refractor, mounted on an iOptron Cube Pro, AZ GOTO mount. SharpCap was used to capture a 500 frame AVI at maximum resolution of 2592 x 1944. Autostakkert2 was used to stack the best 50% of the frames, and Registax 6 to wavelet process the image. Post processing was minimal and done in Photoshop.